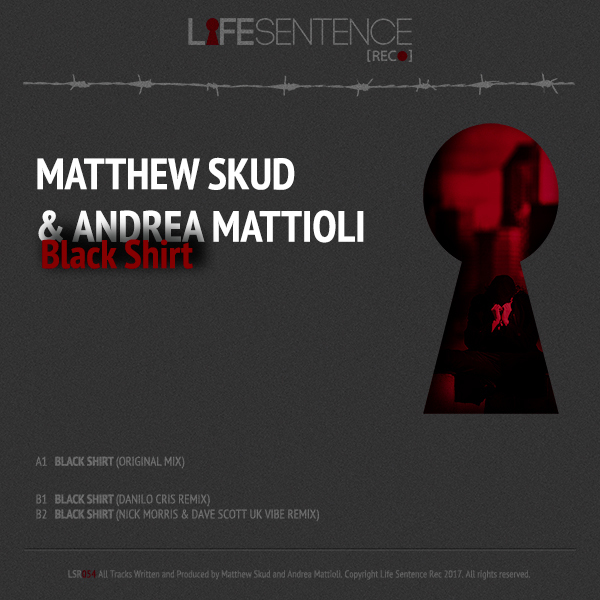 Our veteran Matthew Skud back on Life Sentence Rec world, with his special single Black Shirt. This Project has been developed and finalized with his friend Andrea Mattioli, he’s a big icon of Italian Underground Scene and this is his debut in our label and crew. This track has a remixed by our artist Danilo Cris with a techno interpretation, furthermore debut in this release our friends Dave Scott & Nick Morris with a House Garage mix.